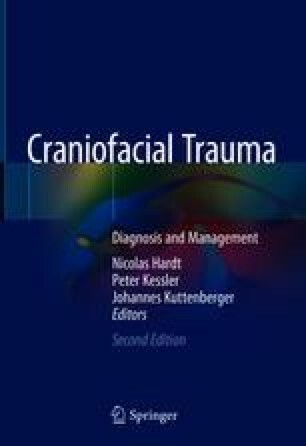 The reconstruction of craniofacial defects is a challenging task even for the experienced surgeon. For an optimal solution, the techniques and principles that have been described in the chapters before must be adapted to the individual situation. The challenges result from the patient’s individual situation, the preoperative planning efforts, from technical aspects as well as from the reconstructive means available. While the use of autografts has been the most widely recommended method, it does have its drawbacks, including long operation times, donor site morbidity, limited donor bone supply, as well as different anatomic and structural problems. The availability of autogenous bone grafts resembling the form of the skull is limited. Therefore, there is a need for alternative materials with adequate mechanical properties and biocompatibility (Blake et al. 1990; Eufinger et al. 1995; Eufinger and Wehmöller 1998, 2002; Klongnoi et al. 2006; Wiltfang et al. 2002, 2003; Schiller et al. 2004; Thorwarth et al. 2005; von Wilmowsky et al. 2008).